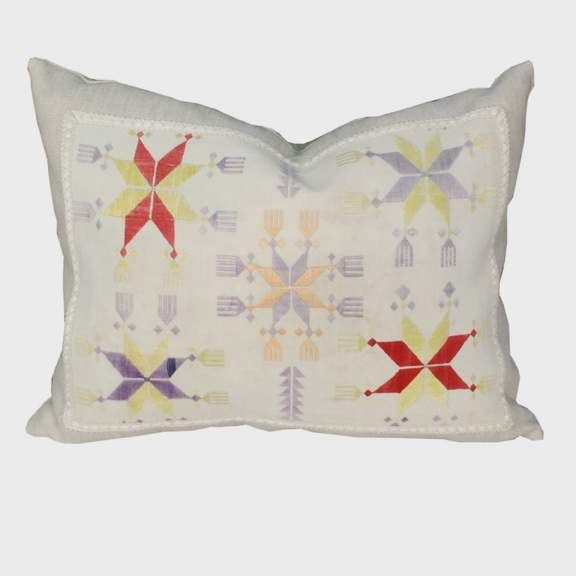 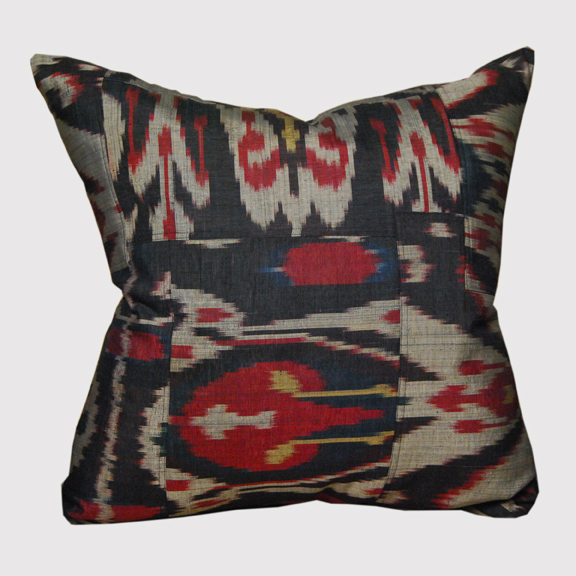 W: 19.0" D: 8.0" H: 19.0"
This pillow's creator starts from a place of traditional patterning. 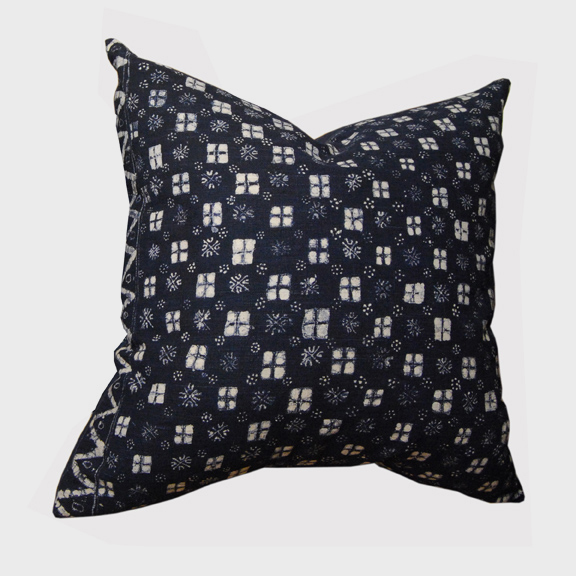 The artisan selects fine examples of Asian textiles to attach to linen backs and create down-filled works of art. 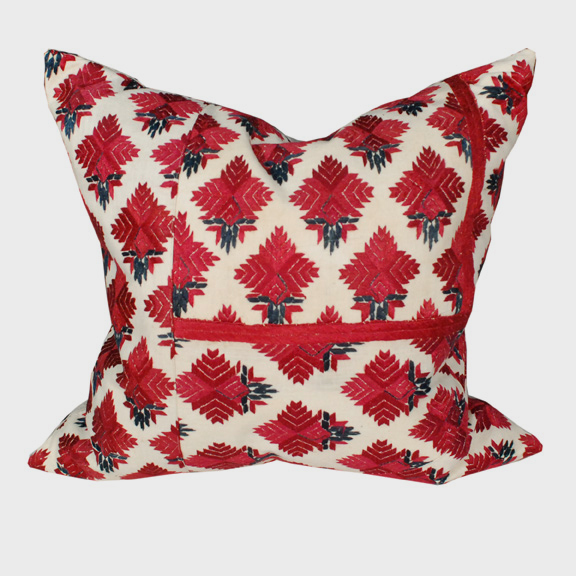 By rearranging and restitching this traditional Indian textile, the artist creates a new relationship in the featured patterns. 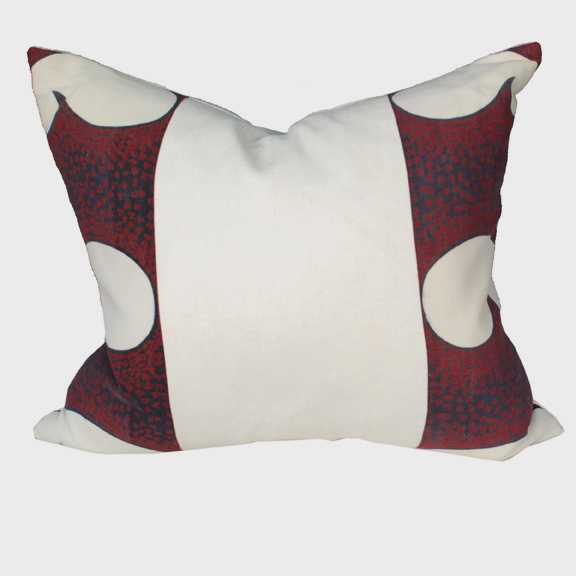 Vibrant reds and blues give the pillow character, offering a subtly present accent for the home.